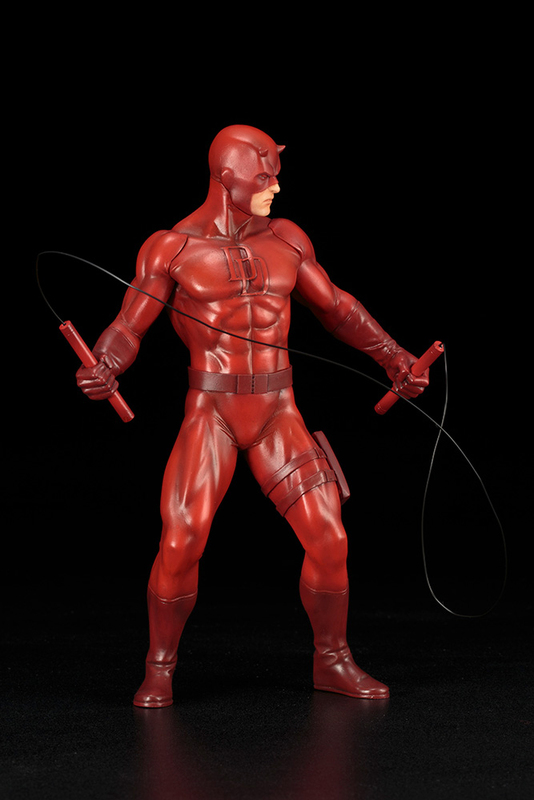 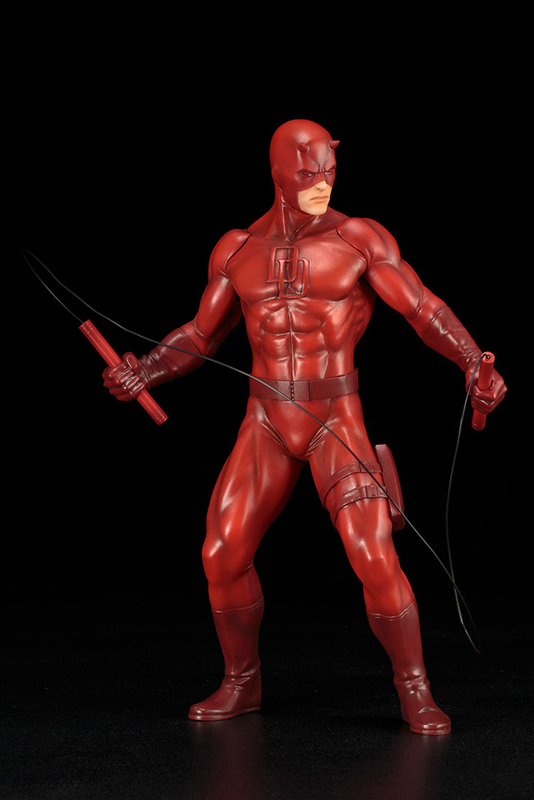 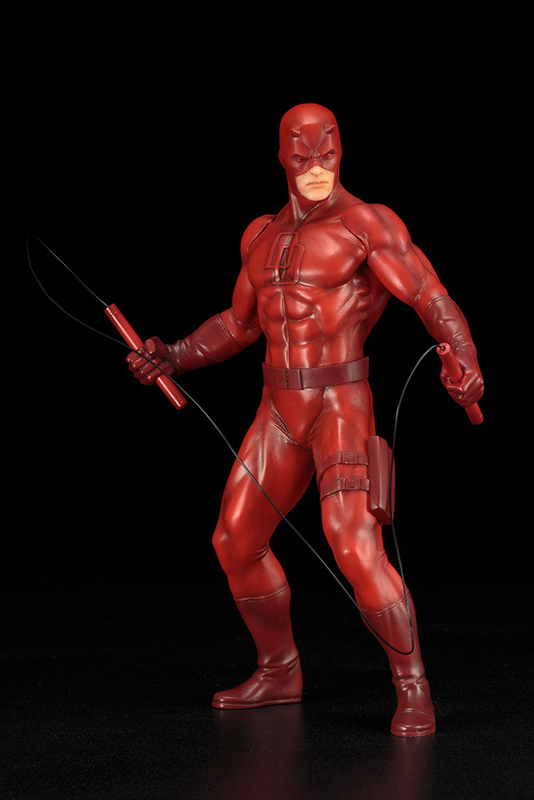 From Kotobukiya's newest ARTFX+ Defenders series comes Daredevil! 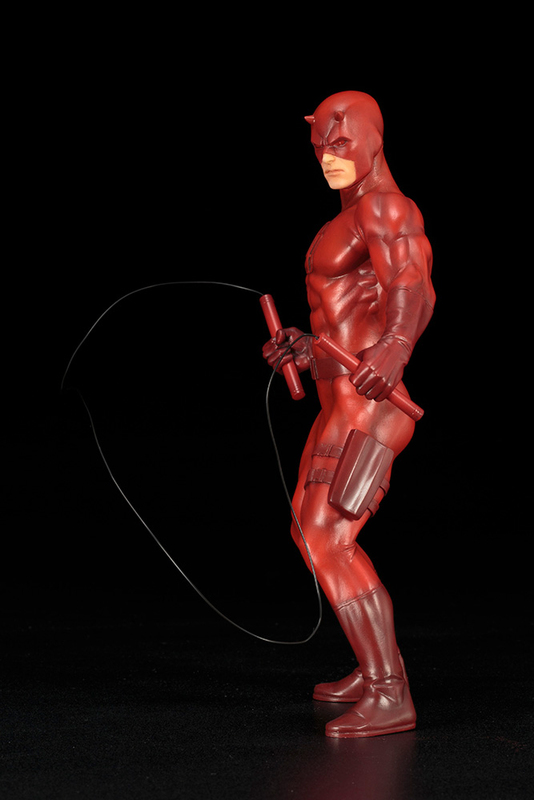 Based on the illustration by Dale Keown. 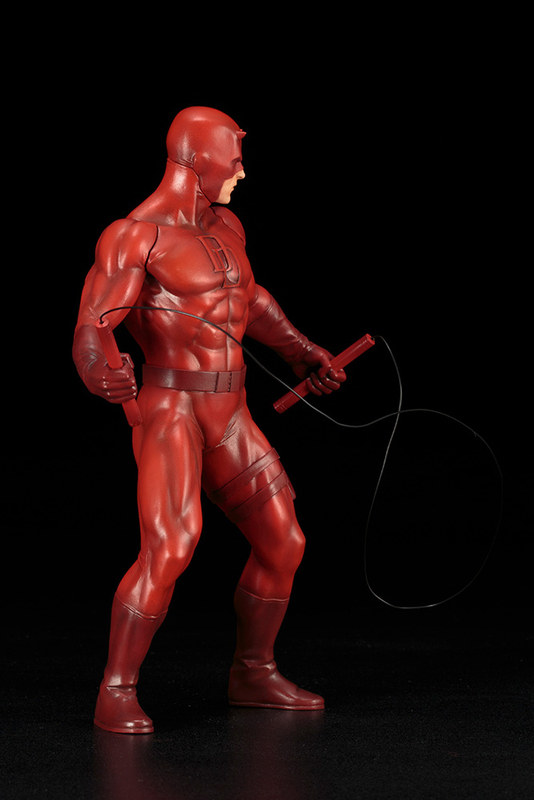 Easy-to-collect 1/10 scale pre-painted PVC statue with magnets in the feet for stable display on the included metal display base. 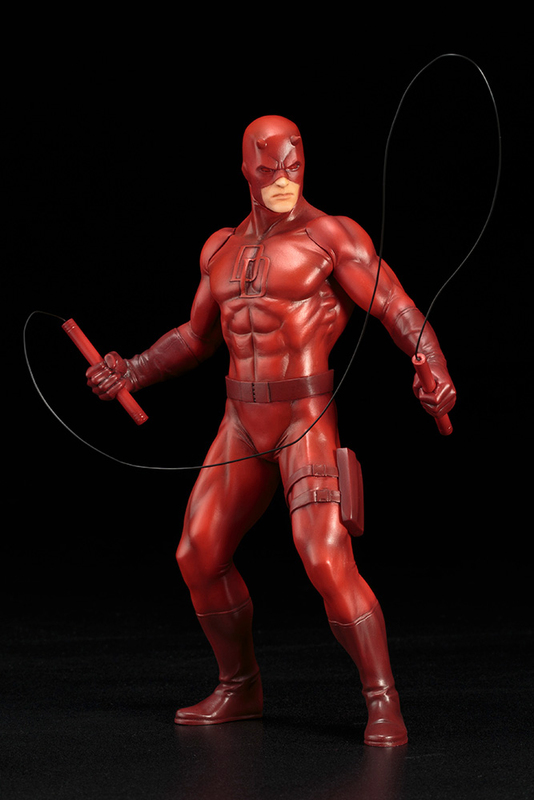 Display alone or alongside the rest of the upcoming Defenders (Jessica Jones, Luke Cage, and Iron First).